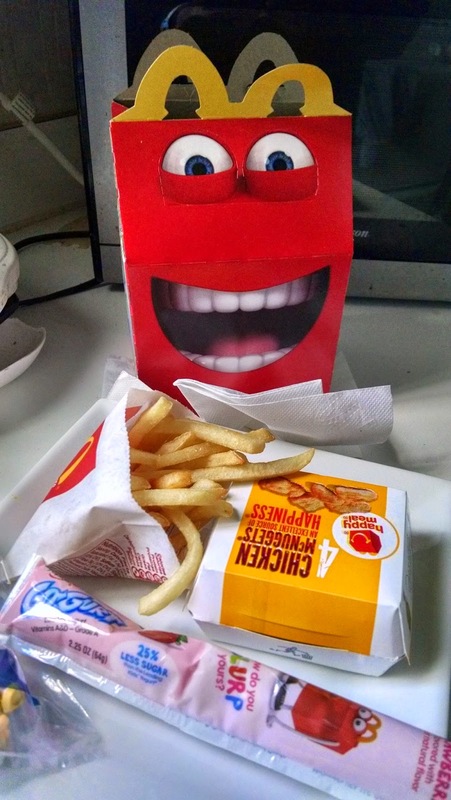 If you have not seen the new McDonald’s commercials or the new smiling face signs in the restaurants or while going through the drive thru lane, then you might not be one of the millions who know about the changes that McDonald's has made to their Happy Meal menu. 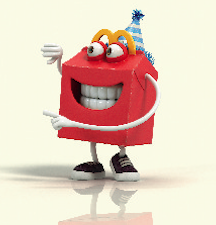 In addition to a new healthy Happy Meal yogurt side, McDonlad's has introduced the USA to its Happy Meal brand ambassador, simply called "Happy." 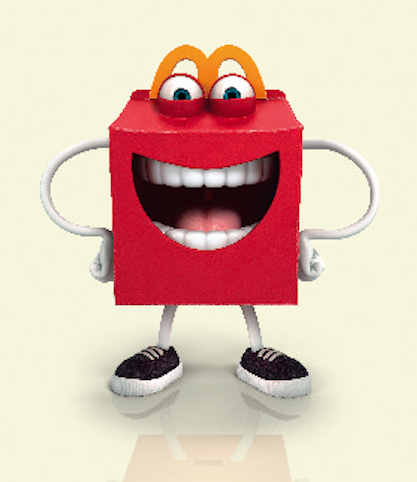 “Happy” is a new animated Happy Meal character that brings a big smile to kids’ meals while also serving as an ambassador for balanced and wholesome eating. Happy was introduced nationwide on May 23rd of this year to encourage kids to enjoy fruits, vegetables, low-fat dairy and wholesome beverages such as water or juice. 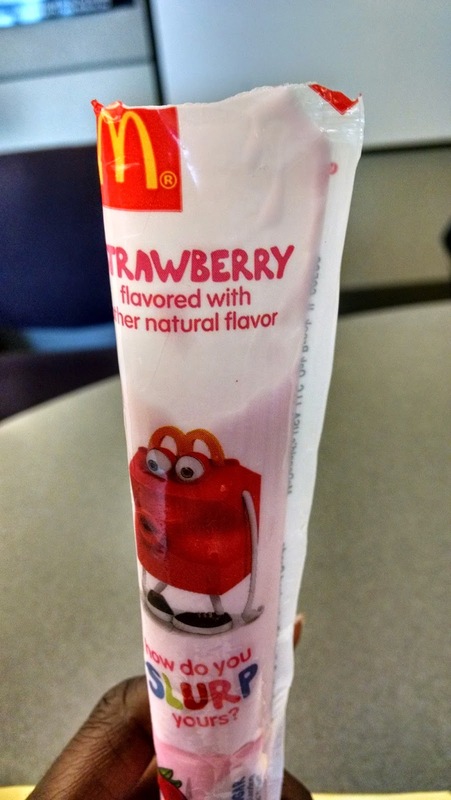 While fast food is not something that kids should eat often, it is nice to see McDonald's offering more healthy options on the Happy Meal menu like the new Go-GURT® Low-Fat Strawberry Yogurt. 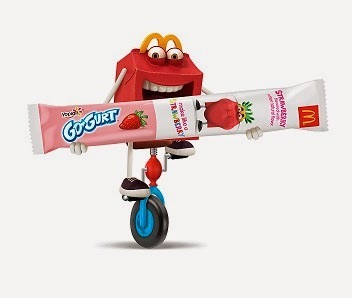 The new Go-GURT Low-Fat Strawberry Yogurt option in Happy Meals is made exclusively for McDonald’s, contains 50 calories and is made with natural flavor. And it tastes good. So is is good to know that parents now have more options for sides in McDonald's Happy Meals now that we can choose either Go-GURT Low-Fat Strawberry Yogurt or apple slices, or choose both together as sides in place of a kid-size fry. Five (5) FREEISMYLIFE readers will WIN FREE Product Coupons to buy four (4) McDonald's Happy Meals of your choice so you can try out the Go-Gurt Low-Fat Strawberry Yogurt for yourself - HOLLA to the FREE!!! - The contest ends on Thursday, July 24, 2014 at 11:59 am EST. - Five (5) winners will be selected by random number generation. - Prizes will be fulfilled to the winners via USPS, UPS, or FedEx by McDonald's or their PR company. FREEISMYLIFE is not responsible for lost or stolen mail. - You can get 1 extra giveaway entry for following FREEISMLIFE on Instagram. - You can get 1 extra giveaway entry for tweeting the following message on Twitter "I entered to WIN 4 @McDonalds HAPPY MEAL free product coupons on @freeismylife http://ow.ly/zik8v "